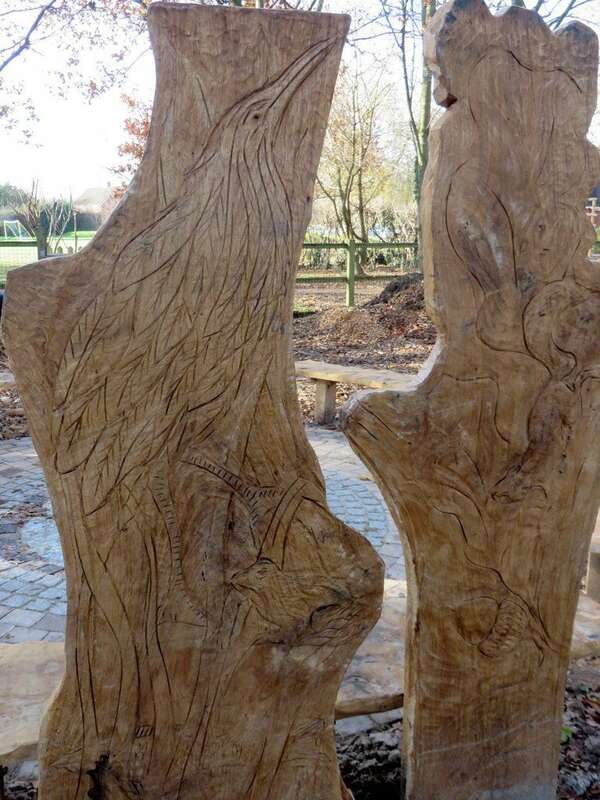 Greatham Primary School won some money from the Tesco Save the Bag Campaign and wanted to bring back their wild life area into a state fit for the children to interact with. 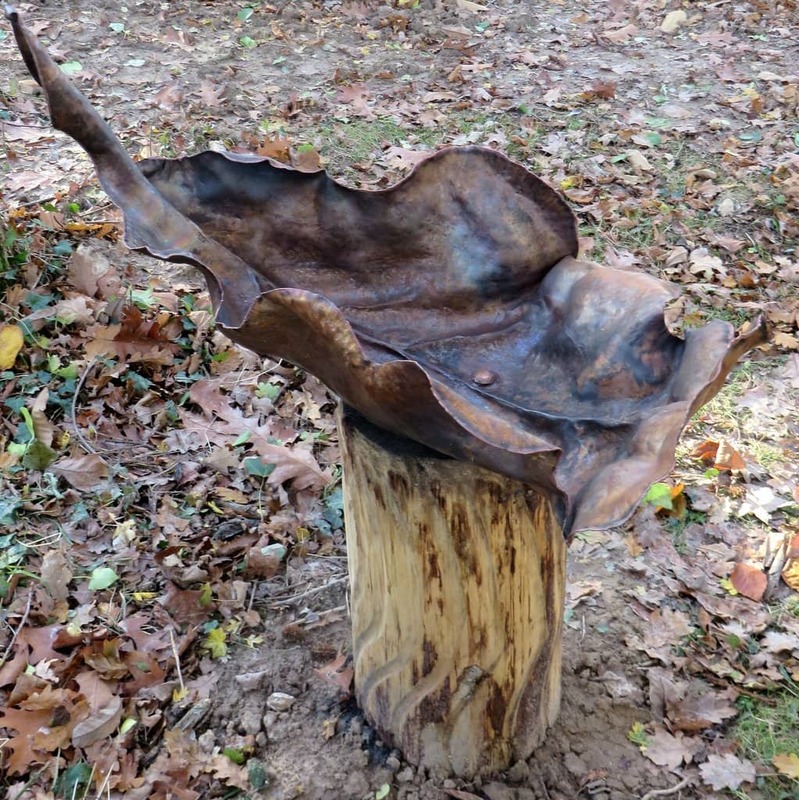 They asked for creative and practical installations so I made an Oak Leaf Copper Bird Bath, with a great deal of generous and expert help from Steve Myburg. 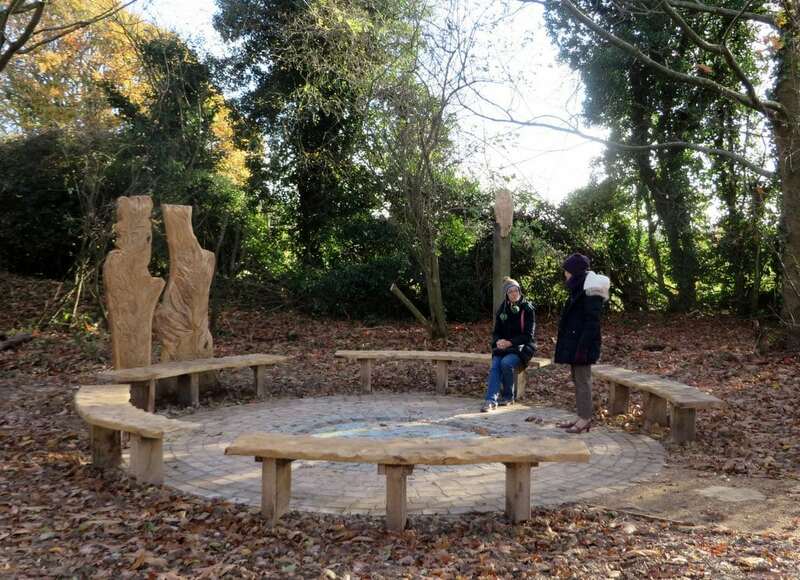 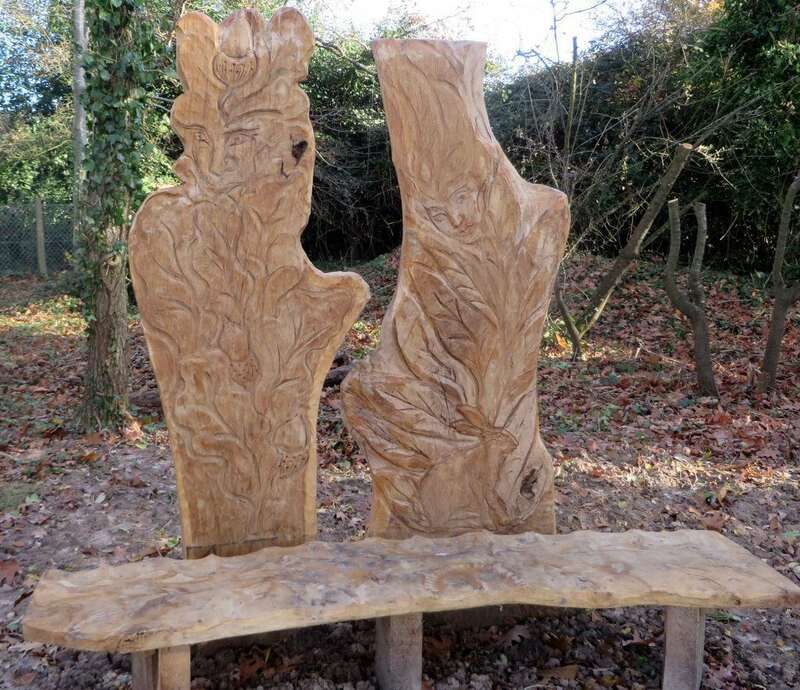 A circle of carved oak benching with throne backs honouring the Ash Queen and the Oak King. 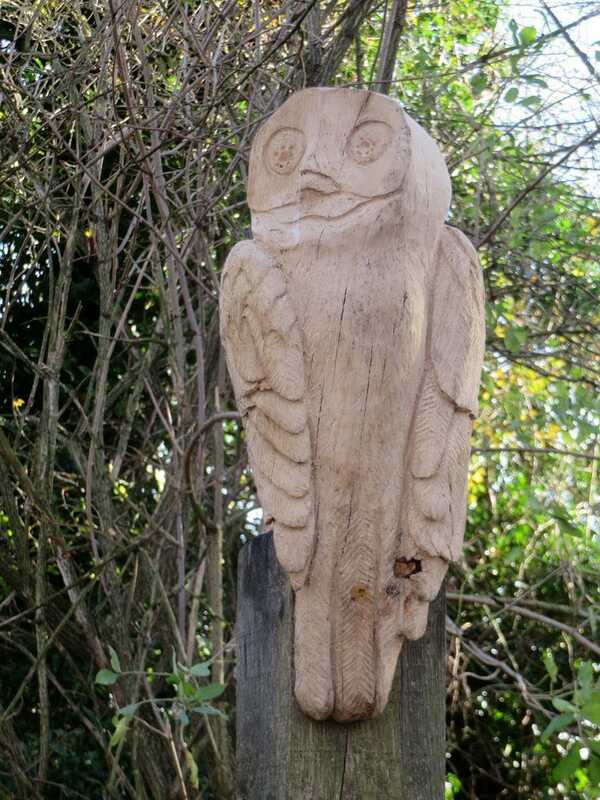 I commissioned Joel Andreus to carve five owls to preside over the area. 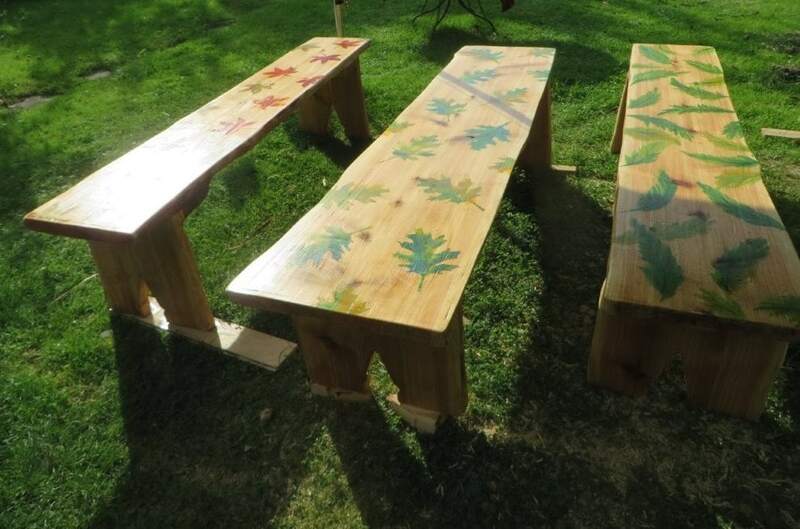 The children named all five on their first visit. For the second stage I have made a squirrel and rat proof bird table from recycled copper tanks and some decorated benches to go in their new hide.